You’ve probably noticed that over time, your car’s windshield starts to develop small scratches, glares, and spots. This is called windshield pitting. While it may not seem like a big deal, it can actually be very dangerous in the long run. It’s important not to ignore windshield pitting. If you don’t get it fixed, you could develop visibility issues and safety problems that could lead to an accident. If you notice pitting on your windshield, be sure to get a windshield repair in Houston done as soon as possible. When the sun reflects off of these small specks, it can cause a blinding glare that can impair your vision on the road. Even a few seconds of the sun hitting the windshield at the wrong angle could lead to an accident. Windshield pitting also makes the glass much weaker. You are much more likely to sustain injuries and car damage if you get in an accident. Even without impact, pitting can eventually lead to cracks in your windshield and the need for a windshield repair in Houston. The biggest cause of windshield pitting is dust, sand, and other small particles flying up off the road and onto your windshield. You are more likely to experience windshield pitting when you drive on the highway. This is because volume of traffic and traveling speed are higher. This means debris hits your car with more force and causes extensive damage over time. There are a few other things that can cause windshield pitting, most of which are weather related. 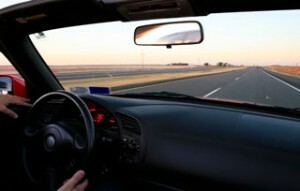 If your windshield is in direct sunlight for extended periods of time, you might experience pitting due to the UV rays. Alternatively, rain and snow can also cause pitting, particularly in areas where precipitation is polluted. The salt used on the roads to prevent ice can also lead to windshield pitting. Finally, driving by the beach can lead to windshield pitting because of the sand and salt in the air. If you have serious windshield pitting, look for Houston windshield replacement options. Once pitting has started to occur, the damage typically gets worse, and replacing the windshield entirely is the best option. If pitting is very mild, there may be Houston windshield repair options for you as well. Contact Apple Glass Company today for any type of windshield repair in Houston. We will help you upgrade your windshield so you can stay safer on the road. This entry was posted in Auto Glass and tagged Houston Windshield Repair, Houston Windshield Replacement, Windshield Repair in Houston. Bookmark the permalink.